When Caitlyn Jenner announced she was transitioning in her famous 2015 interview with Diane Sawyer, it seemed like her ex-wife, Kris Jenner, and the entire Kardashian brood were united in support of the change. But between then and now, literally everything has changed. Not only are Caitlyn and the rest of the family not as close as they used to be, but, if you've been watching Keeping Up With the Kardashians, you know that a Caitlyn's tell-all memoir, The Secrets of My Life, was effectively a bomb lobbed directly into the middle of reality TV's most famous family. Since the book hit the stands, Caitlyn's relationship with Kris and each of the kids unravelled faster than they crank out new personally branded fragrances. Can they ever get back to being the funny, sometimes irreverent family that America fell in love with? 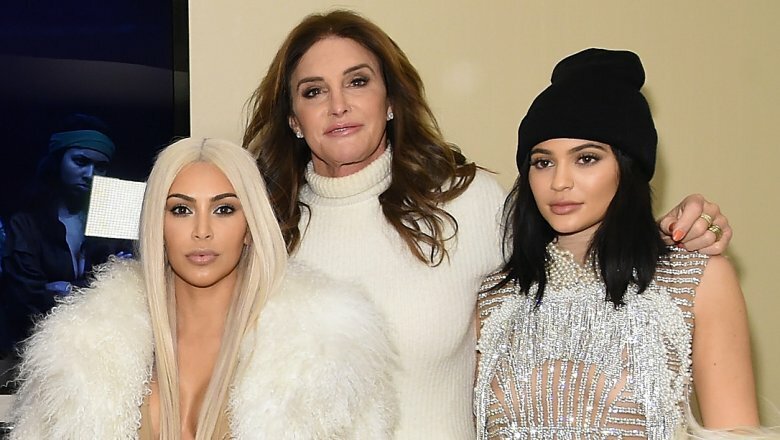 Here's the truth about Caitlyn's strained relationship with the Kardashians. When Caitlyn's revelatory Vanity Fair cover hit newsstands in 2015, it wasn't the first time photos of a transitioned Caitlyn were available to the public, but it was the first time she got to speak in depth about her marriage with Kris Jenner. Unfortunately for Kris, the piece contained some unflattering details that didn't exactly thrill the Kardashian matriarch. "I think in a lot of ways she became less tolerant of me," Caitlyn told the magazine. "Then I'd get upset and the whole relationship kind of fizzled. A lot of times she wasn't very nice. People would see how I got mistreated. She controlled the money … all that kind of stuff." Understandably, Kris was upset with Caitlyn's assessment of their union. She described her feelings about how Caitlyn ended their marriage before disclosing her "gender dysphoria" as "the most passive-aggressive thing I think I've ever experienced." On a later episode of Keeping Up With The Kardashians (via Digital Spy), Kris really lowered the boom on Caitlyn while discussing the Vanity Fair piece when she said, "He can go f**k himself. I honestly wish I never met this man." 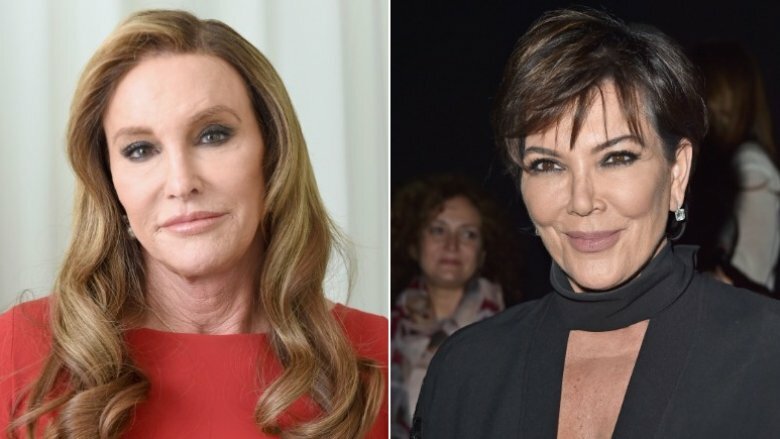 That high-profile airing of grievances seemed to drive the first wedge between Caitlyn and Kris and the kids, and would prove to be just the beginning of an ugly family feud that played out over the next few years in the tabloids, talk show interviews, and episodes of Keeping Up With the Kardashians. On the first season of Caitlyn Jenner's reality series I Am Cait, Kim Kardashian called Caitlyn out on changes she did not find flattering since her former stepparent transitioned. Kim made it clear she did not approve of Caitlyn criticizing Kris in Vanity Fair and also accused Caitlyn of distancing herself from the rest of the family. 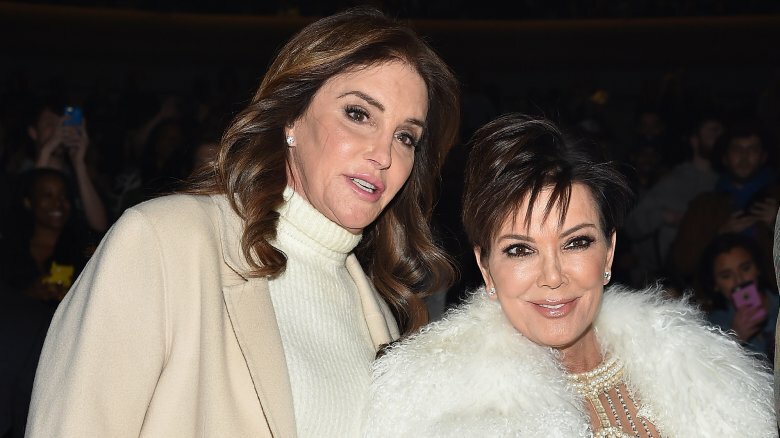 In an episode recap by People, Kim pointed out that Caitlyn had called daughters Kendall and Kylie Jenner a "distraction" and had been spending all her time with her new friends in the trans community, letting her family relationships fall by the wayside. "You look amazing, it's your time, but you don't have to bash us on your way up," Kim said. "You've got the fame, but you're losing your family." Kris Jenner and Khloé Kardashian also confronted Caitlyn on the show as well. "You're sensitive and amazing to all these new people in your life, you're just not so sensitive and amazing to the family that you left behind," Kris said, according to Entertainment Tonight. "We want to support you and be there for you, but, we don't think that that entails you speaking negatively about my mom," Khloé added. "I would think you would come from a place of more compassion, especially when you have two young daughters who are greatly affected by it." Shots. Fired. Since Caitlyn Jenner's transition, the dynamic between her and Kris Jenner has been mostly negative, although there have been a few instances where they tried to at least be civil. 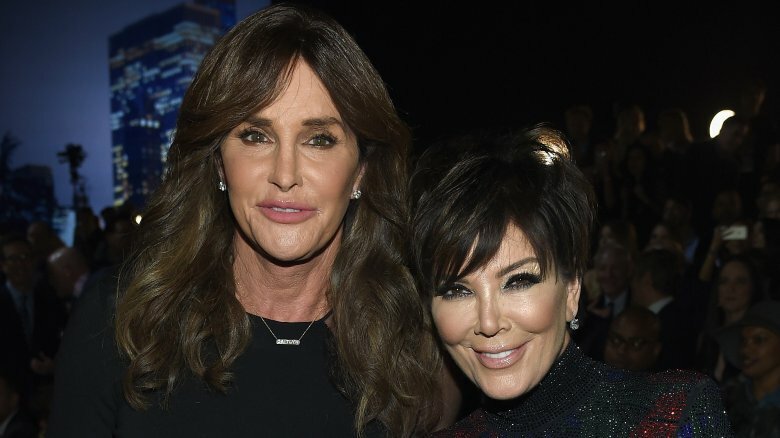 In a breakdown of their falling out, ET cited at least two occasions where Kris and Caitlyn came together for what seemed like the sake of their kids. In November 2015, Caitlyn and Kris appeared together at the Victoria's Secret Fashion Show in support of Kendall's first walk down fashion's most famous catwalk. According to witnesses, the exes seemed happy to see each other, and even took the time for "a whole photo op in the first row." One year later, they were still on decent enough terms for Caitlyn to land an invite to Kris' annual, star-studded Christmas Eve party. But it wouldn't take long for reality TV's former First Couple to once again be at each other's throats when, just four months later, Caitlyn dropped her memoir, The Secrets of My Life. After that, nothing was going back to the way it was ever again. Though Caitlyn Jenner's book, The Secrets of My Life, only dedicates 20 pages to the Kardashians — as Caitlyn would later claim in her defense — there was enough dirt in it to potentially fracture this once tight-knit family forever. In fact, after reading the damning memoir, in which Caitlyn suggests Kris Jenner knew all about her desire to transition, both Kim Kardashian and Kris unleashed fury on Caitlyn, making it clear that a line had most definitely been crossed. Kim took umbrage with just about every claim Caitlyn made about Kris in the book, like the assertion that Kris domineered the family finances and that making a reality show about the family was Caitlyn's idea. However, what seemed upset Kim the most was the assertion Caitlyn made regarding Kim's late father, Robert Kardashian. Supposedly Robert admitted he knew O.J. Simpson was guilty but represented him anyway "to get back at his remarried ex." In response, Kim said on an episode of KUWTK (via the Daily Mail), "My relationship with Caitlyn … was strained, and I was just trying to just be respectful, but if you talk about my dad, I will cut you." She added, "I've always had Caitlyn's back, but she's a liar and not a good person." Caitlyn's memoir evoked a similar response from Kris, who initially reacted on the show (via ET) by saying, "None of it makes sense. Everything she says is all made up." Kris also said that this was basically the last straw with Caitlyn, and she seems to have meant it since the two have been on the outs ever since the memoir came out. Unfortunately for Caitlyn, the icy dynamic put in place by the momager matriarch has also been adopted by the rest of the Kardashian crew. Though the Kardashian women haven't shut up about Caitlyn Jenner since her memoir came out — the topic was featured prominently in the 13th and 14th seasons of the KUWTK — the chatter apparently ended as soon as the cameras shut off. In fact, for as much shade as Khloé Kardashian, Kourtney Kardashian, and, especially, Kim Kardashian have thrown at Caitlyn, there certainly hasn't been much face-to-face time between them since the aforementioned 2015 confrontation over the Vanity Fair article. Caitlyn confirmed just how distant she'd grown from her eldest former stepdaughter during a speaking event at Cambridge Union in November 2017. "To be honest I don't talk to them anymore," she said. "Kim I haven't talked to in a year." And as far as Caitlyn is concerned, the distance between her and the Kardashian daughters is all one-sided. "In the book I express some opinions and got shut down. … They made it more about them on television," Caitlyn also said at Cambridge Union, adding, "That's caused a lot of the separation between us." The only holdouts from the Kardashian crew who still maintain some semblance of a relationship with Caitlyn are her biological daughters, Kylie and Kendall Jenner. However, according to E! News, as of April 2018, even Caitlyn's relationship with Kendall has been feeling "very strained." With perhaps the exception of Kylie, the rest of the Kardashians have made a clean break. On the season 12 premiere of Keeping Up With the Kardashians (via Cosmopolitan), Khloé Kardashian and Caitlyn Jenner were not on good terms. The reason? Khloé did an interview with radio shock jock Howard Stern to promote her since-canceled show, Kocktails With Khloé. 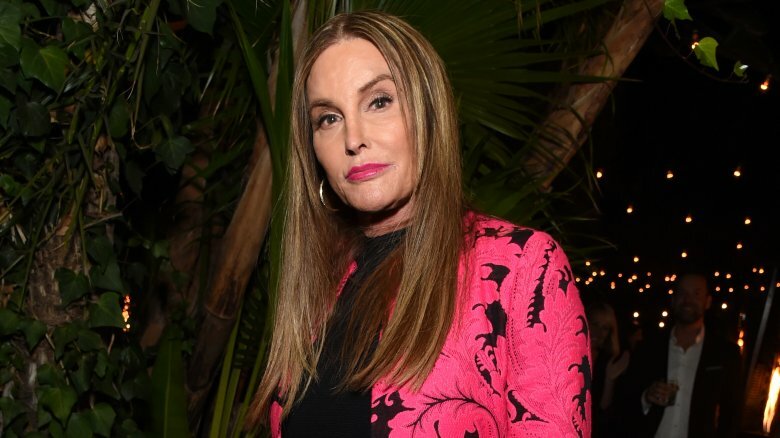 During the radio program, Khloé discussed the way Caitlyn's transition had affected her, saying she "felt betrayed" by Caitlyn because "business people knew" she was transitioning before their family. After the radio segment, Khloé reportedly received angry text messages from Caitlyn, which prompted Khloé to phone her mom to unleash an expletive-laden rant about her former stepparent. "She can tell me to f**k off all she wants. I don't have a relationship with her," Khloé told Kris, adding, "I'm done." Khloé and Caitlyn's relationship showed brief signs of reconciliation — although at this point Caitlyn was publicly claiming the two hadn't spoken in "like, two years" — during an April 2017 episode of KUWTK, when Khloé admitted that she missed having her stepfather in her life. 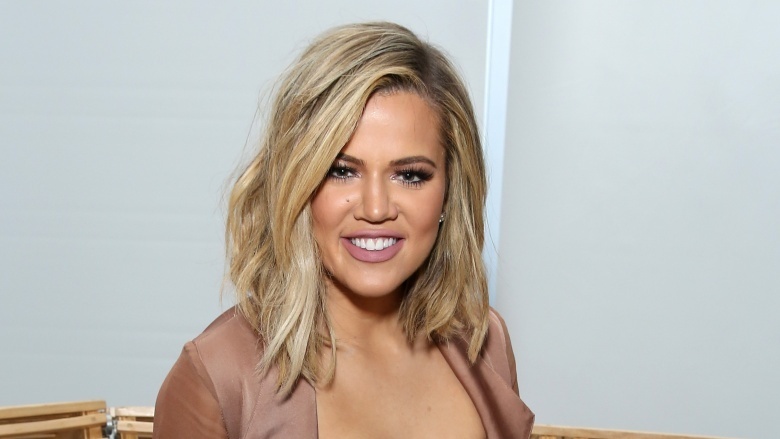 Khloé even said, "I don't think Caitlyn is a bad person at all." But by October 2017, things went sour again, as Khloé dropped any and all pretense of a reunion during a discussion about her relationship with Caitlyn on the show, saying, "I'm not talking to you because you're a bad, mean person." Aside from his initial support of Caitlyn Jenner's transition, Rob Kardashian hasn't spoken out much about his former stepfather other than to say, "As long as Caitlyn is happy, I'm happy," during a September 2016 interview with People. But once again, it was Caitlyn who offered the truth about her strained relationship with Rob when she told the panel at The View in July 2017, "Rob, I haven't had a serious conversation with in years" (via ET). Kourtney Kardashian, in her typically deadpan way, also aligned herself with her mom and sisters when she said on a season 14 episode of KUWTK (via the Daily Mail) that Caitlyn's "personality just doesn't vibe with ours." She also went to bat for her mom, refuting a specific claim in Caitlyn's memoir that Kris hoarded all of the money they made from a successful motivational speaking business they ran in the '90s. 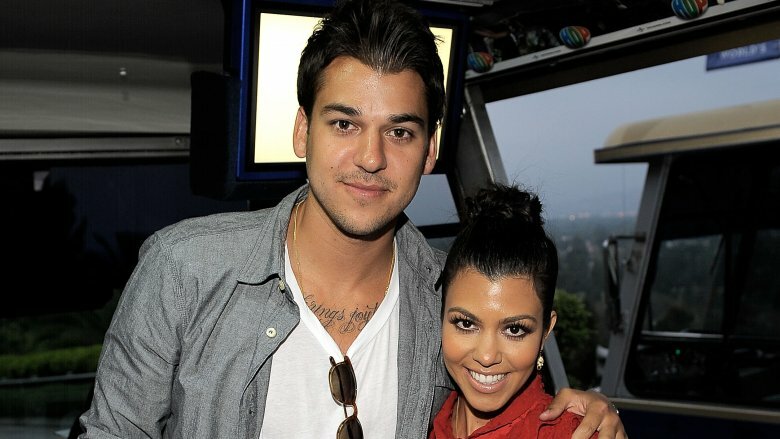 "They made the money together," Kourtney said. "Even when mom would book appearances, I worked for her, I would hear her phone calls in the office. She would hustle to get speeches." This whole ugly scenario surrounding Caitlyn's memoir proved that if there's one thing the Kardashians do better than branding, it's circling the wagons. And, unfortunately for Caitlyn, she kept on giving them reasons to keep her on the outside. 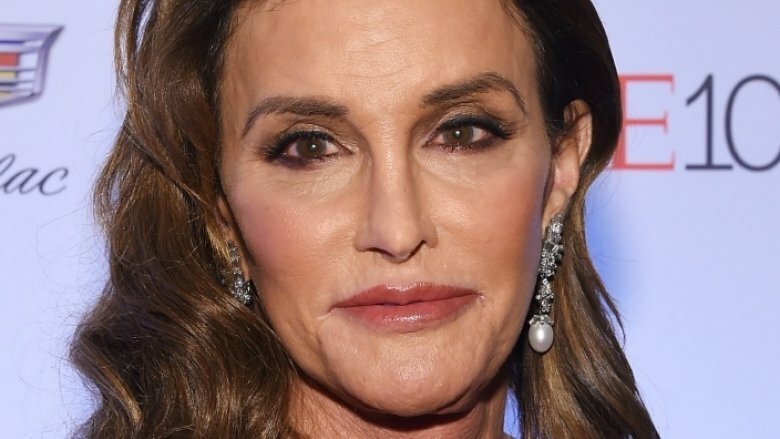 One of the big moments from the season 14 premiere of KUWTK was when the family found out about Caitlyn Jenner's gender reassignment surgery in the press. Though they'd all long since cut ties with her at this point, it still somehow came as a shock to Kim Kardashian, Khloé Kardashian, and Kourtney Kardashian that Caitlyn hadn't directly told them about it. "So that means they snipped?" Kourtney asked. "Yeah they snipped. But why couldn't she say that to us?" Kim replied, according to the Daily Mail. Aside from the obvious answer that that would be a pretty awkward icebreaker phone call to make after a few years of silence, Caitlyn actually addressed this publicly. In a January 2018 interview with Piers Morgan, Caitlyn revealed that she hadn't told any of the Kardashians about her surgery because "it's none of their business." Asked by Morgan why she withheld the section about it in her book from the advanced copies she gave the Kardashians, Caitlyn said, "I didn't want them to leak it to the press. … Of course I didn't trust them." Granted, Caitlyn has drifted further and further away from the family since she split from Kris in 2013, but to say that she no longer trusts them speaks volumes about the state of their strained relationship. Caitlyn Jenner basically spelled out the state of her strained relationship with the Kardashians in the aforementioned Piers Morgan interview, but, just in case that wasn't enough, Kim Kardashian had also already put a fine point on the matter months before. During an appearance on Watch What Happens Live in May 2017, host Andy Cohen asked Kim, "What are the chances of your mom, Kris, and Caitlyn ever speaking again?" Kim started to reply with, "Zero," but corrected herself and said, "One. No, I would say two. Two percent and those are Kendall and Kylie. … All fair, I think." Yeesh. As far as we can tell, as of this writing, the stalemate between Kris and Caitlyn remains. 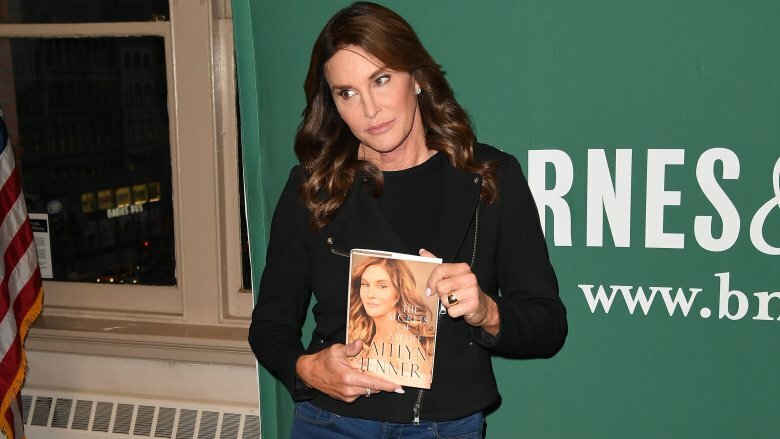 In fact, the wounds opened by Caitlyn's memoir were still fresh as of a December 2017 episode of KUTWK in which Kris was still on the defensive about claims that she knew about Caitlyn being transgender throughout their marriage (via Us Weekly). "I wouldn't have seen that truth in, like, a gazillion years," Kris said, referencing the "perfect years" of her marriage to Caitlyn which may have blinded her to what was really going on. She also offered a final thought on Caitlyn's revelations about their marriage, saying she wished she would have only written, "Married to her. Didn't work out. She's a great girl." Unfortunately, that toothpaste is out of the tube.